It has a root node and its key is compared to the children nodes and the comparison is constantly carried out whenever a new node is aimed to be inserted. In addition to the characteristics, the Heap can be internally implemented using Array or Priority Queues. The common practice is usually done with the Priority Queue. The values of children are greater than or equal to the value of their parents; which indicates that parent nodes tend to have lower values than the children nodes. The values of children are less than or equal to the value of their parents; which indicates that parent nodes tend to have greater values than the children nodes. 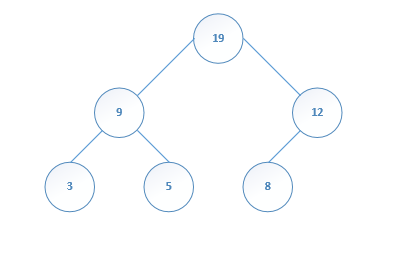 Heapifying is a recursive process of turning the Heap to the Max Heap type, our algorithm will go towards the non-leaf nodes and look for the largest node in the tree and in all possibilities, raise the greater values above top contentiously. 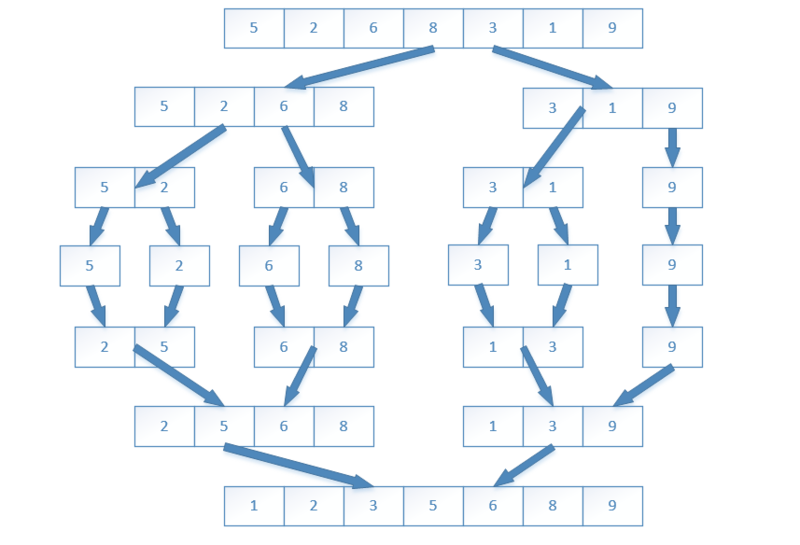 Heap sort is a very efficient algorithm that performs very well in sorting arrays. 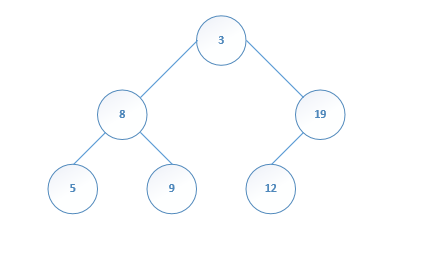 The optimal algorithm for the numbers range from 1 to n2. Radix Sort algorithm favors of Counting Sort internally to sort the array. 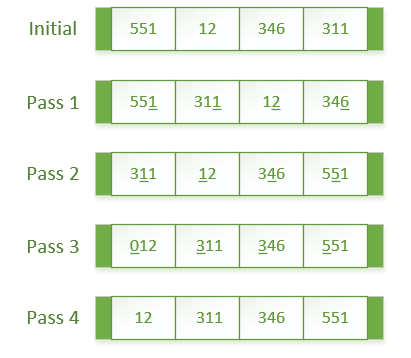 The given keys consists of the digits in each element in the array. It starts from the Least Significant Digit which is the left digit, then goes to the Most Significant Digit which means to the right. Now we have more or less how the Radix Sort works out internally. There is one gap I’d like to point what happens to 12 which has two digits compared to the others that have three digits. Well in this situation such numbers are appended with leading 0s and they always sit on the bucket zero. k: the range of the keys for each number. We will also repeat the operation for this amount. Sub lists are made out of the elements in the gap and the sub lists are compared. In the comparison lower element goes to the left and greater is on the right. The process continues, later on the gap gets smaller until it becomes one. After the gap reaches to one, then the Insertion Sort is applied to sort the rest. Depending of this gap the time complexity of the algorithm varies. it compares the element that are on the left of it. It all means that the sorting goes not forward, but backwards from the right to the left. This algorithm is sufficient on smaller data sets like Bubble Sort, because its Time complexity is O(n2). 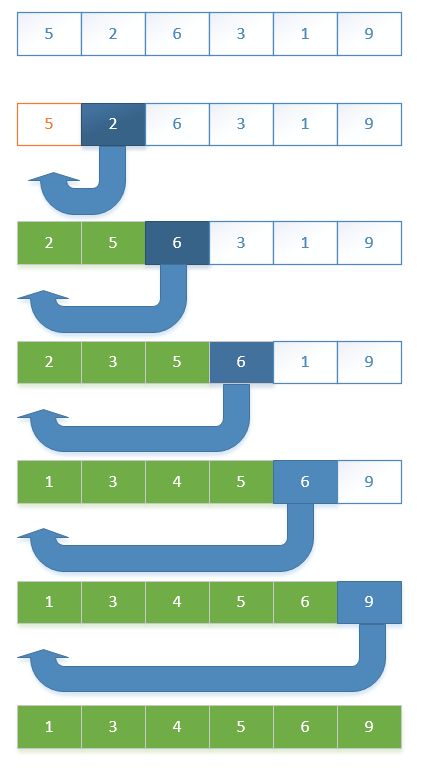 Merge sort yet another sorting algorithm that benefits from the divide-and-conquer principle. The main goal in this algorithm is to split the given array into individuals and merge them back during the course of the comparison. Merge Sort seems kind of similar to the Merge sort, in the Comparison below you can study the differences and similarities. However, there is one challenge as I see in this algorithm is the merge. I find this part very complex, but besides its very easy to apprehend the algorithm. Both of the algorithms split the given data structure. However, alternatively Merge Sort intends to split from the half to divide the left and right subsets into individual elements, whereas the Quick Sort picks a partition point and swaps the lower and greater values in the right and the left directions. Apply partitioning on the left side and later on the right side. Selection Sort searches through the list of array to find the smallest item in the unsorted list. Sorting starts from the left to the right, all the sorted elements reside on the left side of the array. Bubble sort will repeatedly compare and swap adjacent items. If the item on the left is greater, it swaps it with the right item. Basically the greater items are shifted towards the right direction.